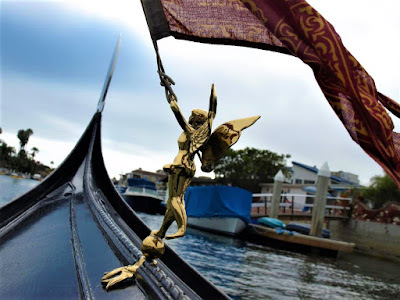 There's more to a gondola than just the hull. There are so many details. One of my favorites is the "canon" - a brass ornament on the bow. This one resembles an angel carrying a flag. It was created by my friends at Fonditore Valese in Venice.